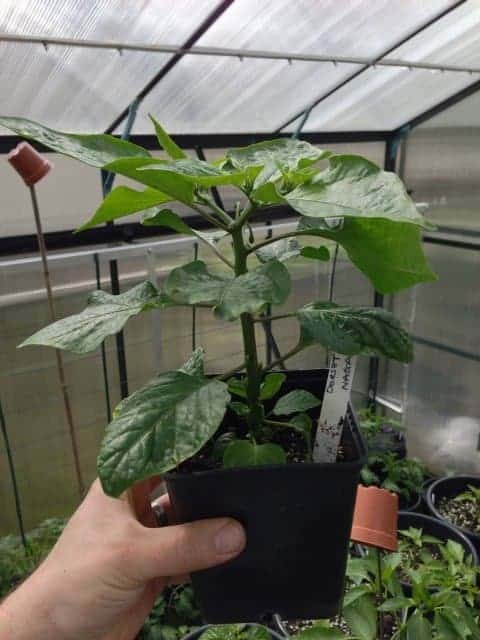 After having a brief discussion with Joy and realizing that I had gotten the chilli growing bug I decided to buy one of the Dorset Naga plug plants to give it a go ( amusingly the only plant I have bought singulalry as I’d always hedge my bets on having a backup!). 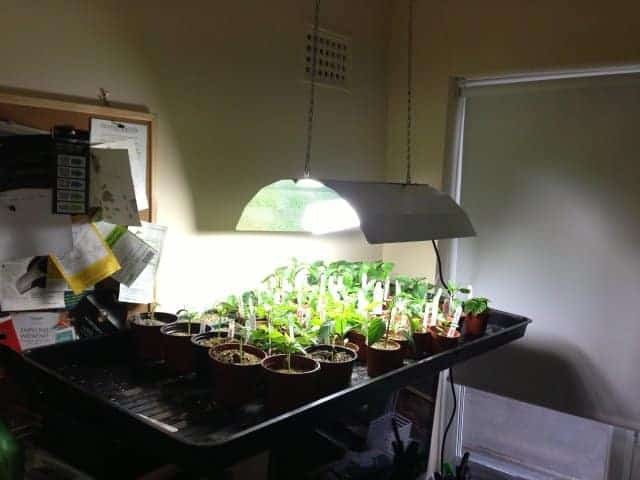 I placed the plant under the grow lamp upon getting it home where it stayed for several weeks until the weather was just right! 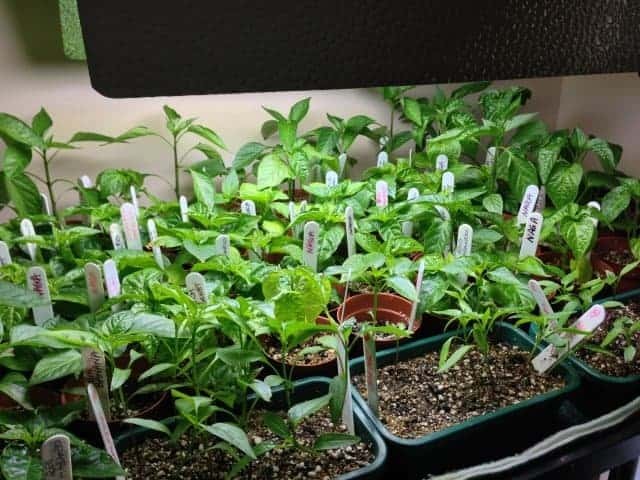 Although I say waiting for the weather to be right I do think I gave it a little bit of a shock and it slowed up on the growing front somewhat for a brief period. 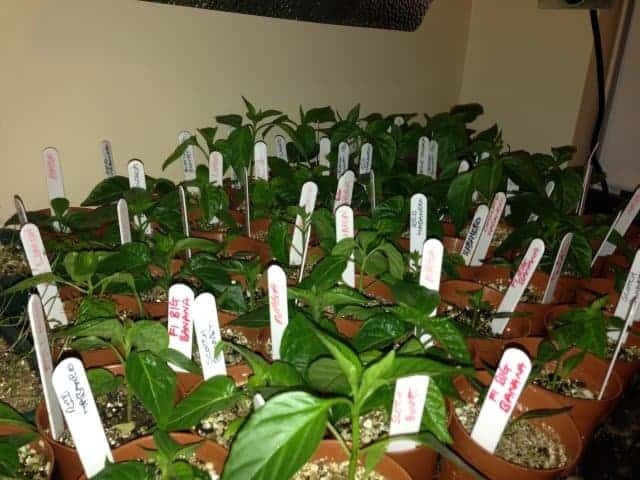 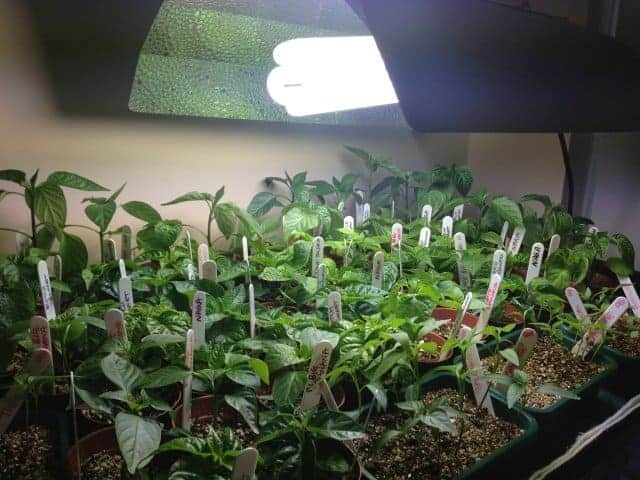 Here’s a selection of shots of the growing Dorset Naga from March onwards. 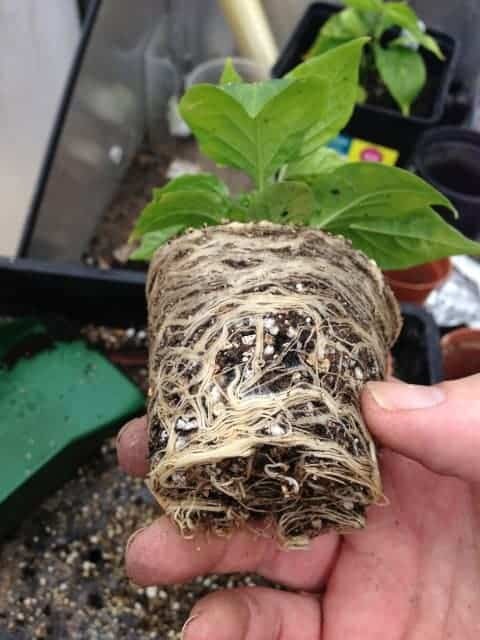 Very quickly these plants had developed very strong rooting systems and it’s time to pot on into the next size up. 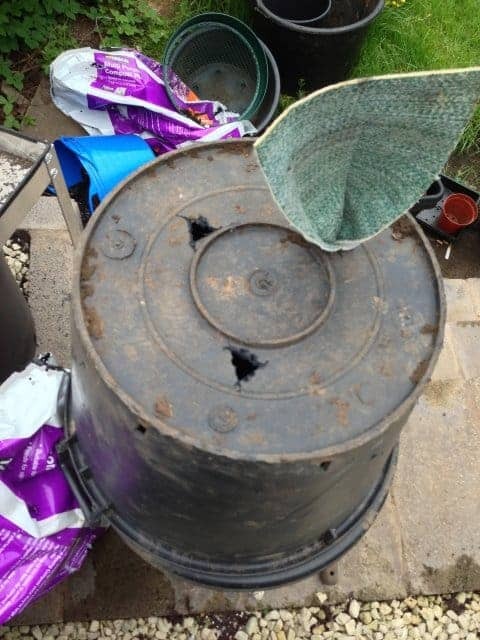 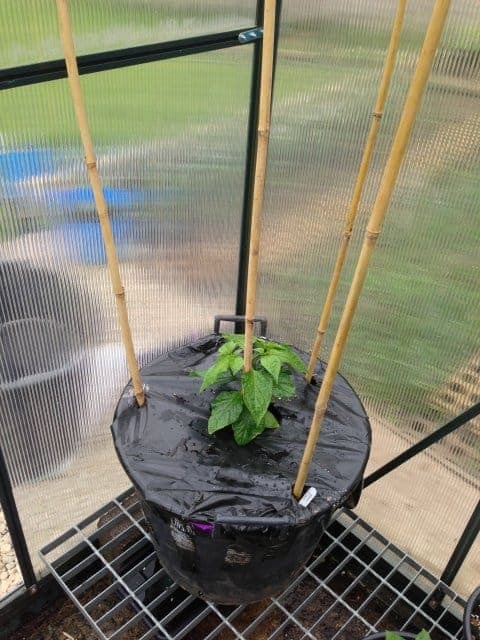 Not wanting to water the plants everyday and giving the plant a chance to be fooled into thinking it was planted in the ground I created a large self watering system using a big planting container, metal grate to support it and cappilary matting to allow the roots to latch onto and draw what water it requires. 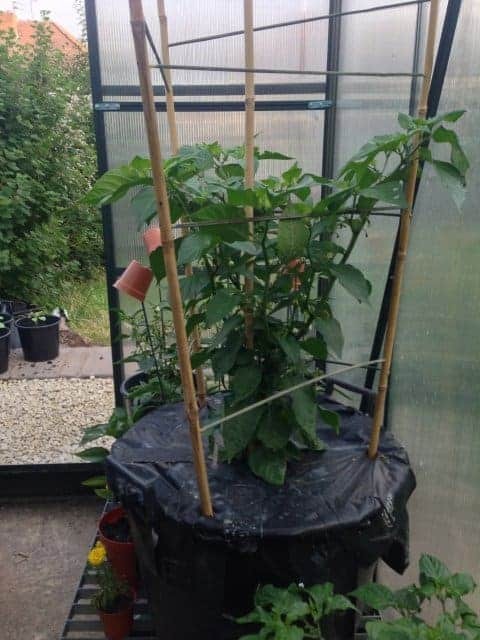 I also poured in the correct amount of Chilli Focus nutrients once a week ensuring that most of the water had been used up first. 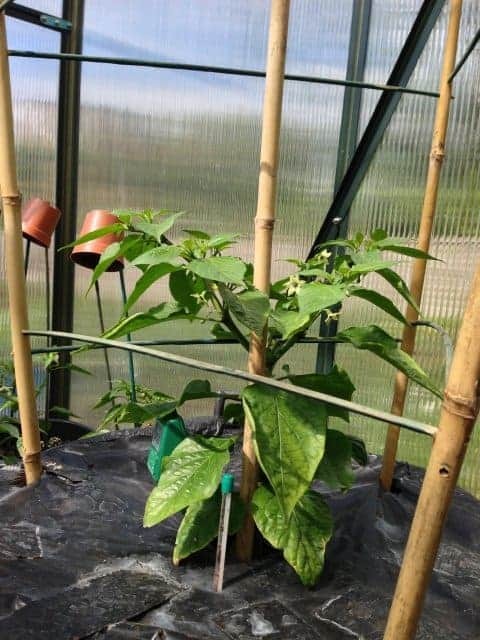 Also giving the plant a support system after seeing what happened to Sea Springs seeds plant the year before when some of the lower branches had fallen off under duress of chilli weight! 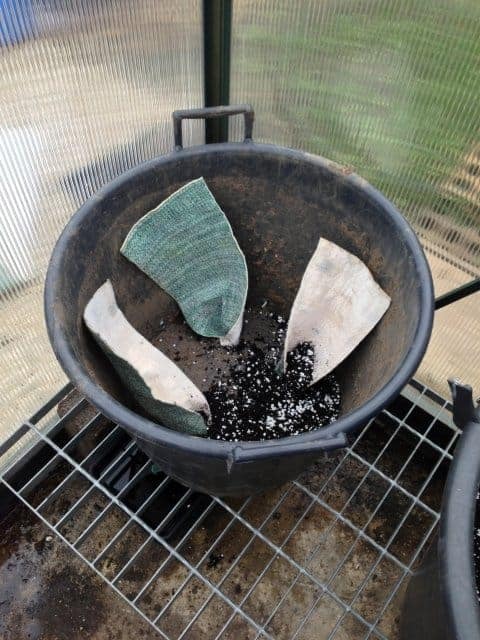 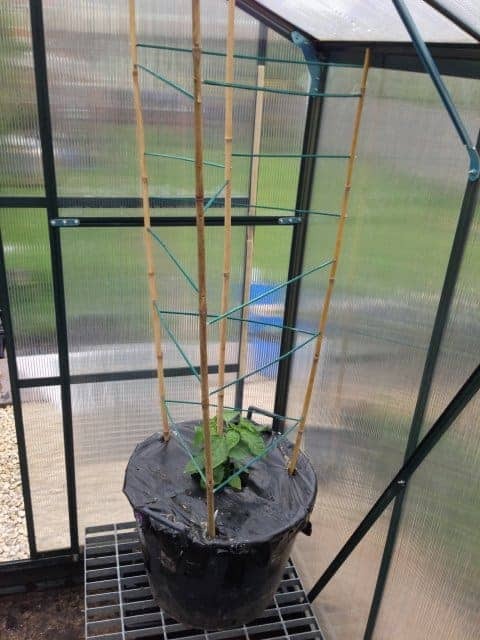 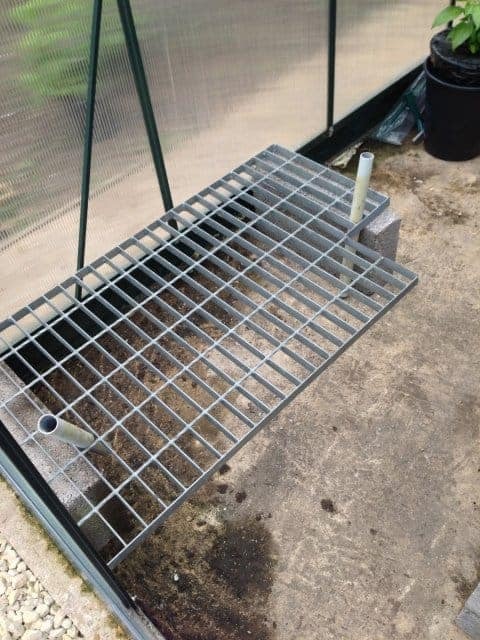 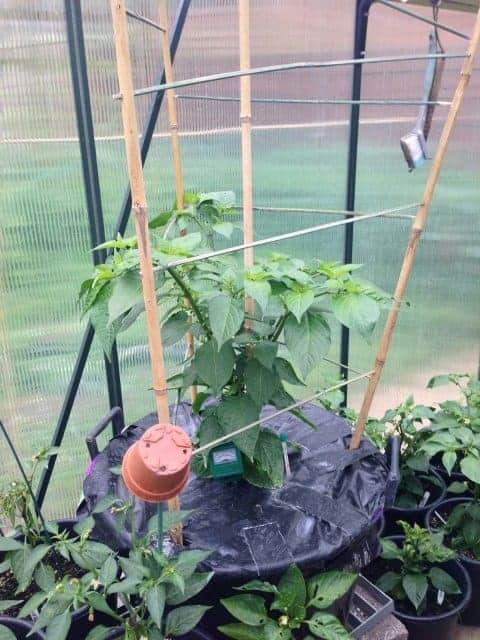 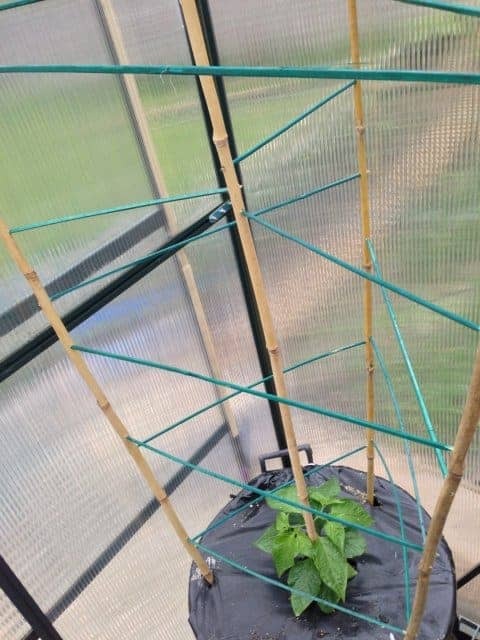 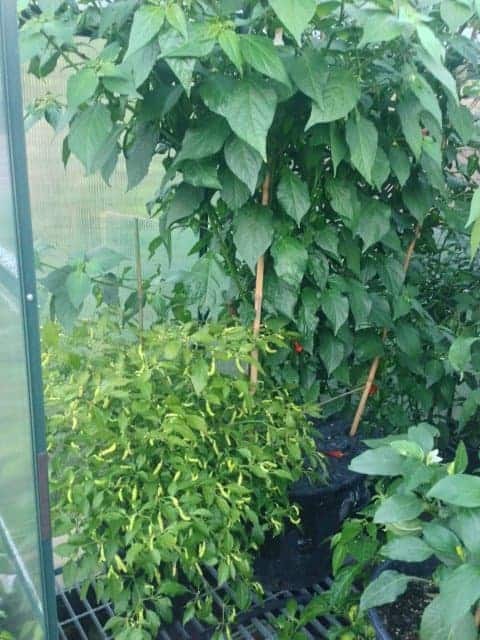 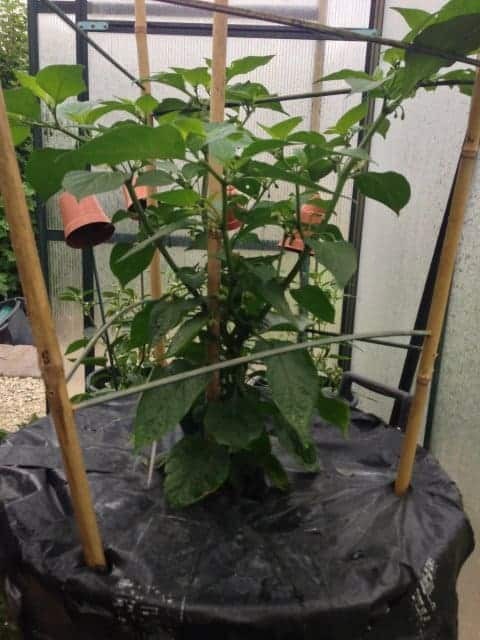 I used large upright canes and drilled several holes to put in smaller canes as cross members, this worked well apart from when the wind got up as it had been attached to the roof bolts in the greenhouse for added stability. 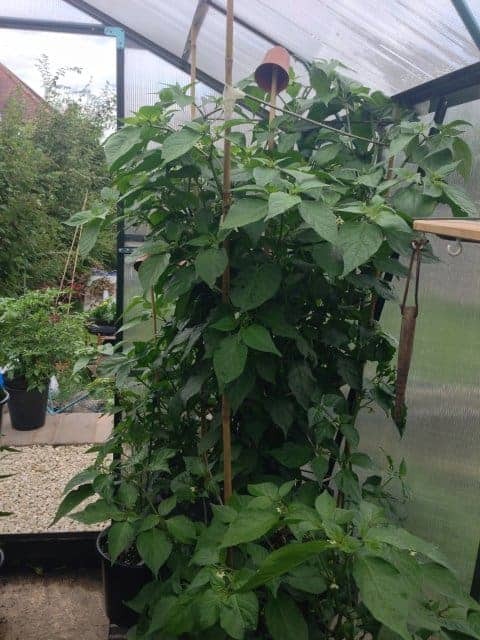 Mid May and the plant has started forking and getting plenty of flowers, I think I should have added more chicken manure and removed the flowers until at least the end of June to get the growth aspect there first. 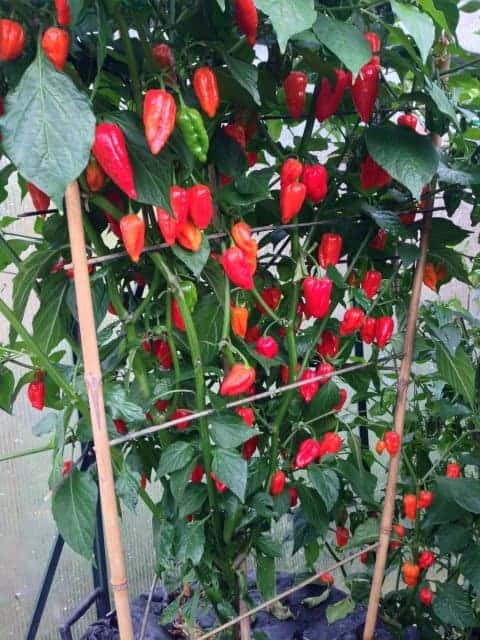 Mid July and all is going well, great development and more flowering. 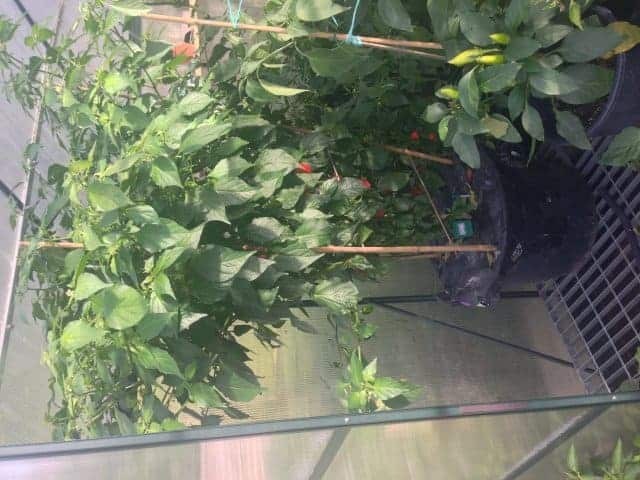 Mid August and lots of growth, plenty of chillies starting to form and not too much flower drop which is a good sign. 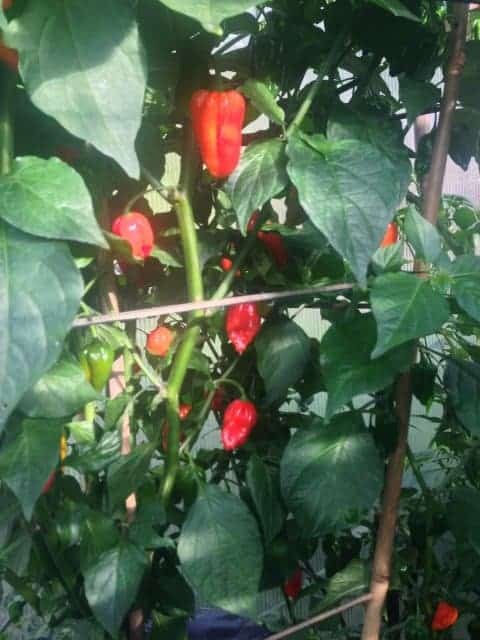 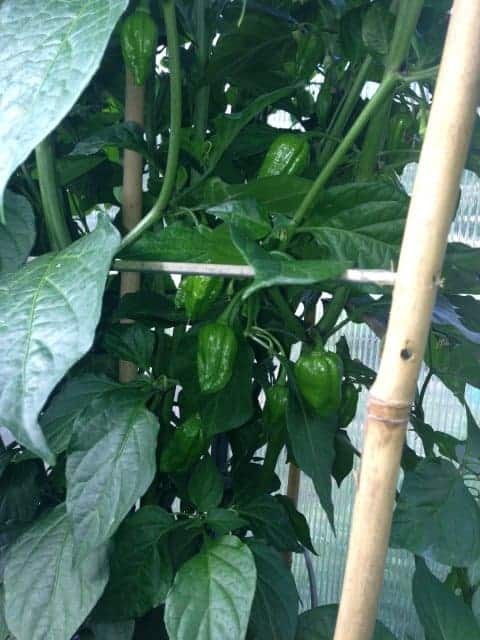 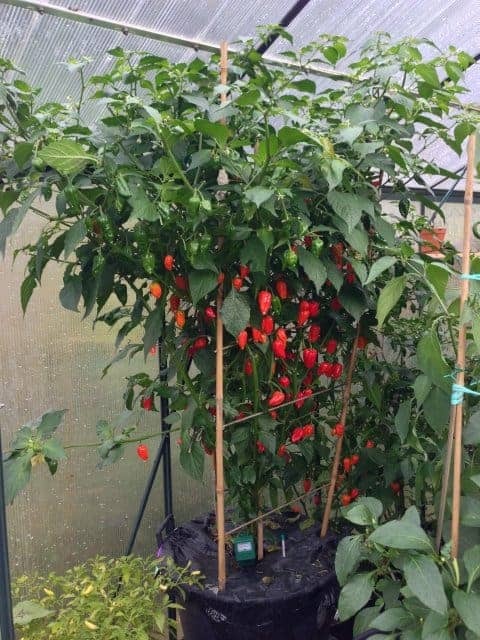 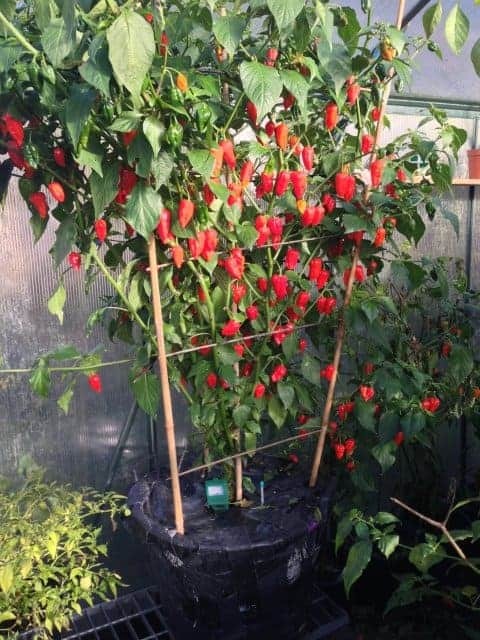 Ripe Dorset Naga started appearing mid September and we then harvested the entire plant on November 17th.